Take the chore out of laundry with the washing machine that suits your needs. 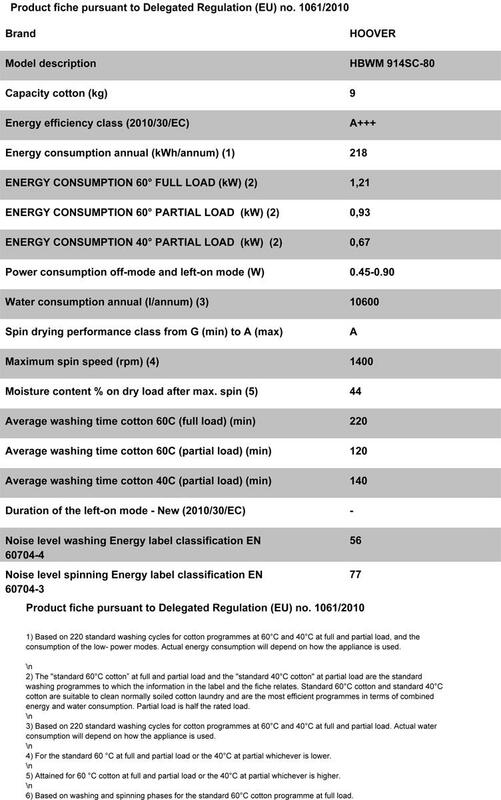 The Hoover HBWM914SC has a kg mode which detects the quantity and type of load, automatically adapting the wash. Every model bought out by Hoover is in energy class A+++ and if you choose a premium model, consumption is reduced by a further 20%. Let your laundry be managed on its own with the delay start function and choose a time that suits you. The three rapid wash programs- 14 minutes, 30 minutes and 44 minutes; are perfect for tailoring the washing machine to your preference.